I have a confession. Some people buy shoes. Some people eat chocolate. Me? I’m weird….I buy food. I love going to a great market and searching out new items or new vegetables. 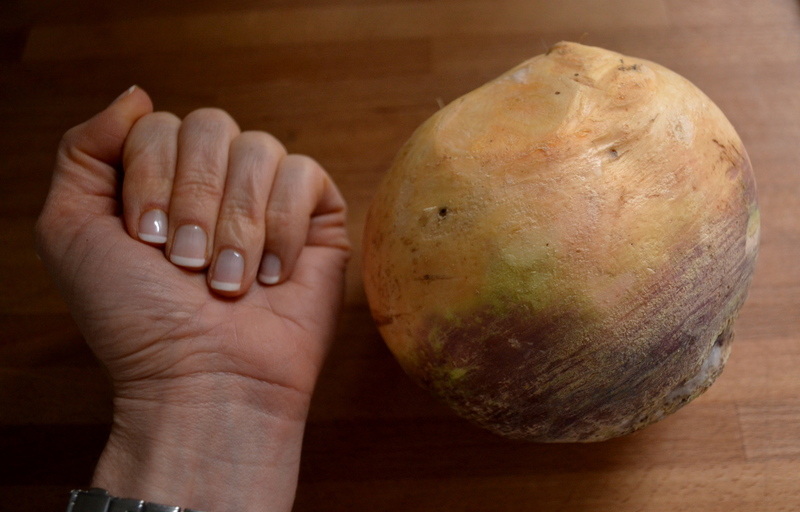 Recently, I stumbled upon a huge and beautiful rutabaga at the market. I’ve never had one, so I decided that she was coming home with me along with some parsnips, carrots, and kale. Winter root vegetables are great to have on hand because they can store at room temperature or down in your basement for 6 months! So even if I don’t exactly know what I am going to do with them when I buy them (like the rutabaga), I know that they will wait for me for until the inspiration occurs. Plus, these winter veggies are full of nutrients such as vitamins A and C, calcium, folate, and potassium (just to name a few). 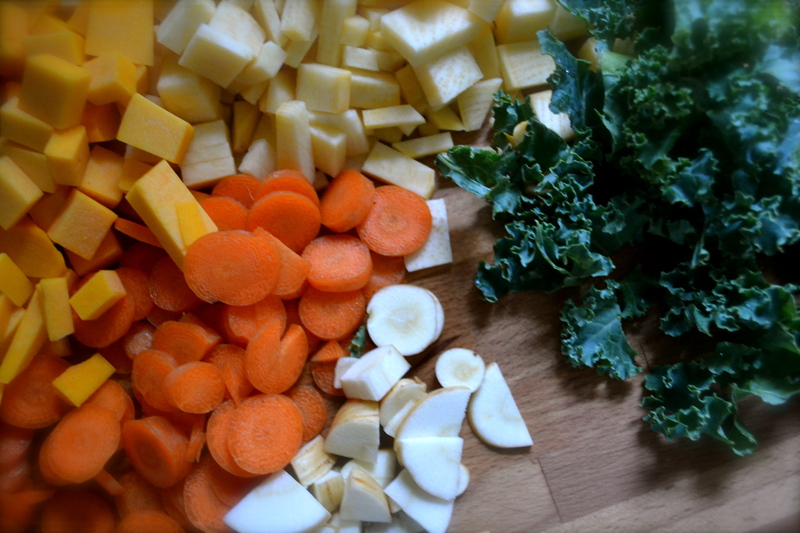 Because of all these nutrients, these vegetables are great for warding off cold-weather infections. So one night the inspiration came, I threw together several root vegetables that I had on hand along with some coconut milk to make this AMAZING stew. Coconut milk is a great staple to keep on hand in your cabinet. It can take any meal and make it an 11. And let me tell you my friends…this stew is a 12! Jam on it. Make it. Love it. Hoard it. 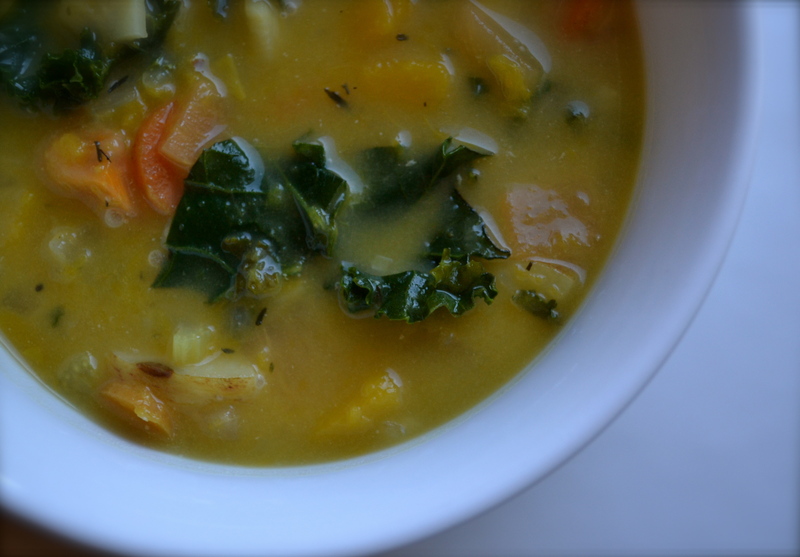 Note: The vegetables in this stew (like most soups/stews) are interchangeable and are not set in stone. 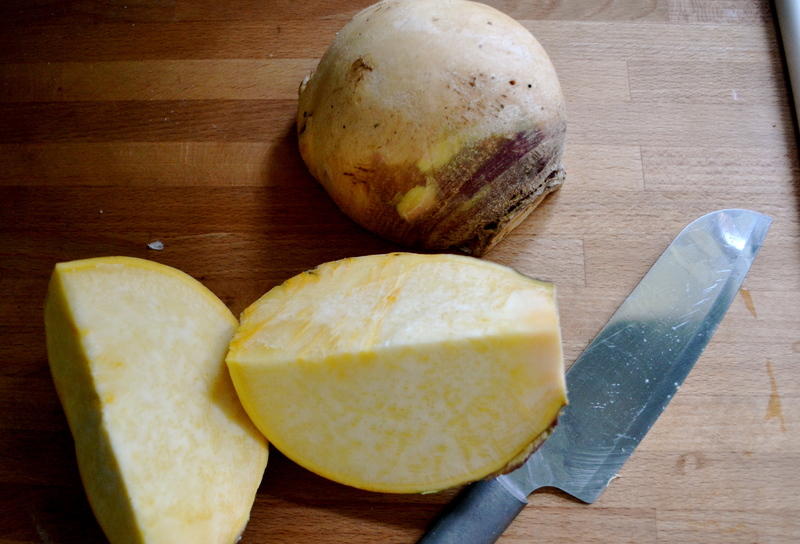 I simply used what I had on hand and what is currently in season….roots. This would be great with regular potatoes, sweet potatoes, and even broccoli. In the summer, use summer squash, green beans, and spinach. The cooking times will be reduced for these spring and summer vegetables because they are not as hearty as winter vegetables. Heat oil in dutch oven over medium-high heat. Add onions and cook for about 5 minutes, or until translucent. Add garlic, ginger, and Thai paste, stirring constantly for an about 1 minute. Add vegetables, broth, water, and soy sauce. Bring to a boil. Reduce heat until the stew is simmering. Cover and cook until vegetables are tender. For root vegetables, this took about 20 minutes. If you are using spring or summer vegetables, this will take only 10 minutes. 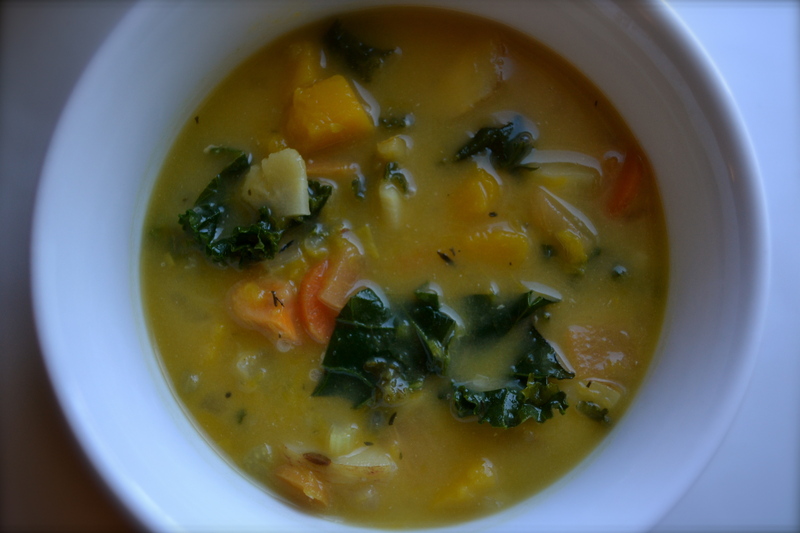 After vegetables are tender, add kale, coconut milk, and honey. Cook for about 3 to 5 minutes, or until kale is tender. Add salt and pepper to taste. This is my kind of soup. Spicy and sweet with vegetables, yum!